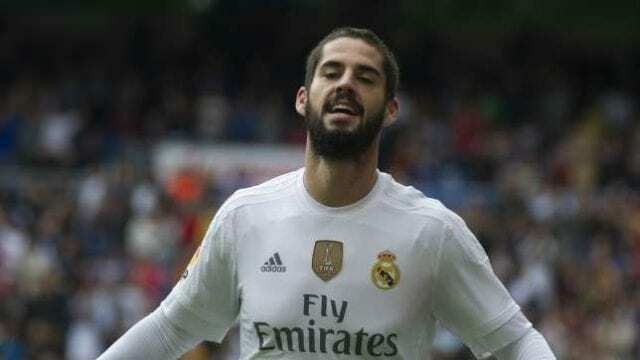 Home Sports Can Real Madrid Turn It Around? Can Real Madrid Turn It Around? International teammates, Marcelo and Philippe Coutinho will be on opposite sides — and perhaps in direct opposition — in one of the world’s greatest club clashes this weekend. On Sunday in the Camp Nou, Marcelo will be Real Madrid’s left-back, Coutinho Barcelona’s attacking midfielder. The pair are not only from the same country, Brazil, they are also from the same city, Rio de Janeiro. But this is a case of opposite teams, contrasting temperaments. Full of swagger, Marcelo is taking the fight to the Madrid media after the criticism the team has received for their poor start to the season. Coutinho, meanwhile, is a shy figure. Stepping up a level, both to top-level European club football and to the Brazilian national team, has not always been easy for him. But, now settled in at Barcelona, his teammates will look to him to overcome the absence through injury of Lionel Messi. This is Coutinho’s big moment at Barca, and much may rest on whether he can win a battle against Marcelo. During the World Cup, the pair were not only on the same team, they were in close proximity. Coutinho broke into the Brazil side playing wide on the right. In the run up to Russia, though, coach Tite switched him to the left side of midfield — a move that remains controversial. It left Brazil with a left side of Marcelo, Coutinho and Neymar. There was not a lot of defending going on. Marcelo is a magnificent rampaging left-back, but the defensive side of his game has never been particularly strong. When he first broke through as a teenager with Fluminense, it was believed that he would quickly make a transition to a midfield role, and it is perhaps surprising that this has yet to happen. And Coutinho is not a genuine, box-to-box midfielder. His best work is all done in the final third of the field. Dropping him deeper, forcing him to cover more ground, was not a conspicuous success in Russia. He tended to get less effective as the tournament wore on. Belgium coach Roberto Martinez was bright enough to spot the signs. In that fateful quarterfinal, to the surprise of many who know him, Martinez changed his team’s formation with the specific intention of attacking Brazil down their left flank. Centre-forward Romelu Lukaku was pushed out towards that wing, and terrorised the Brazil defence in a first half in which Belgium won the game. The 2018-19 club season has so far reinforced the impressions left by that match. Marcelo has scored fine goals in Real Madrid’s past two matches, but his defensive play has been roundly criticised — a key factor in his strained relations with the local media. Coutinho, meanwhile, played most of Barcelona’s early games in that same slot, on the left of the midfield trio. It was not a success. Dropping deeper obliges him to do more of what he does poorly (get behind the line of the ball and defend), sapping his energy and making it harder to do what he does best (create in the final third). Brazil are still experimenting with this, seduced by the possibilities it provides for Coutinho to link up with Neymar. The laboured performance against Argentina, though, may force a rethink. Barcelona have already gone through this process. The turning point came with their Champions League visit to Tottenham. With Arthur included in the midfield trio, Coutinho moved up into the attacking three, with Messi and Luis Suarez. Both the team and the player benefited. And now, in the temporary absence of Messi, there would seem to be no chance of Coutinho playing in midfield. It is up to the ex-Liverpool man to declare himself the team’s major creative force. On Wednesday against Inter Milan, Barcelona fielded Rafinha along with Ivan Rakitic, Sergio Busquets and Arthur. Coutinho had extra freedom to wander across the attacking line in support of Suarez. It would make sense on Sunday for him to wander out to the right and test Marcelo’s defensive mettle. The battle of the Brazil teammates is shaping up to be one of the key duels of the Clasico. Is Jerome Boateng Worth €45 Million?